One of our top picks in Yanqing.Surrounded by vast greenery, Holiday Inn Resort Beijing Yanqing is a cozy base located in Yanqing. You may expect well-appointed guestrooms, a kids' club and wellness facilities as a gym and an indoor pool. 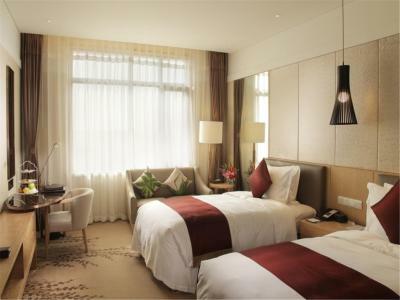 Rooms or suites are furnished with carpeted flooring and soft lighting. Besides comfort bedding and a selection of pillows, LCD TV with satellite channels and high-speed internet access are provided. 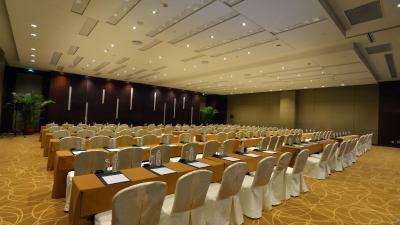 To offer convenience for business travelers, there is a set of working desk and chair. In the bathroom, rain forest shower or a deep tub can be found. To recharge after a tiring day, you may try a spa treatment or massage at the wellness center. Swimming lovers would like the huge indoor pool and there is a well equipped gym for a regular session. 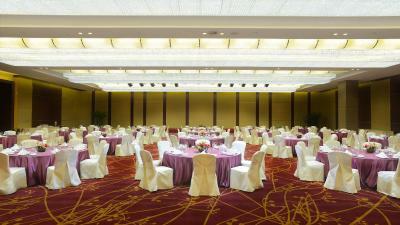 Additionally, the grand banquet hall can easily accommodate over 800 people to host different events, plus 9 meeting rooms. Seasonal activities as skiing, ice lantern watching or hot spring bath can be arranged. Creative Chinese delicacies await you at the Chinese restaurant. There is an all-day dining place as well. For a relaxing afternoon or a night cap, opt for the lobby lounge. 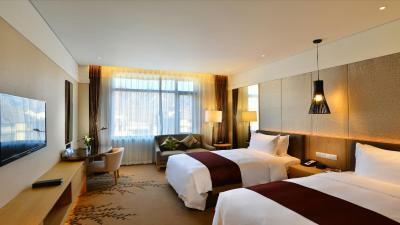 When would you like to stay at Huihuang Resort Beijing Yanqing? The room comes with air conditioning, a flat-screen cable TV, a mini-bar, a work desk and a private bathroom. 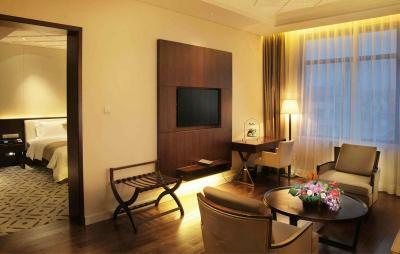 With more space, the suite is equipped with a flat-screen cable TV, a mini-bar, a kettle, a desk and a private bathroom. 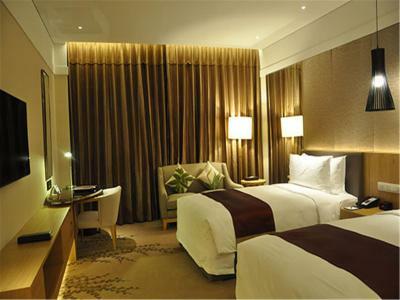 Located on the executive floors, this room comes with a flat-screen cable TV, a desk, a mini-bar and a private bathroom. 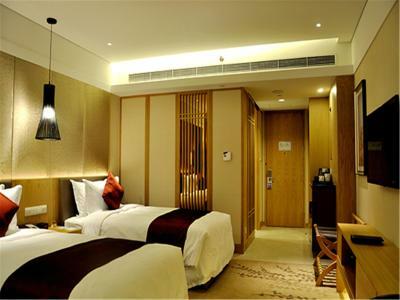 House Rules Huihuang Resort Beijing Yanqing takes special requests – add in the next step! Greatwall Jin Huihuang Resort Beijing Yanqing accepts these cards and reserves the right to temporarily hold an amount prior to arrival. Huihuang Resort Beijing Yanqing accepts these cards and reserves the right to temporarily hold an amount prior to arrival. During public holidays, pre-authorization is needed, and the reservation cannot be canceled. The first night room rate will be charged if cancellation happens. The staff are not interested in feedback by customers. Coffee tastes bad and the quality needs to improve. Staff are very unfriendly and are not trained at all. Very friendly staff at the Rezeption desk! Location-the hotel is very far from everything and the hotel won't organize taxis anywhere, hence you are stuck unless you are willing to brave a 1-2 hour journey to go sightseeing. For people interested in sightseeing there are hotels better situated. There is a shop at the property, but it is closed all the time, so if you suspect you might get thirsty or in the mood of an ice cream, better bring your own.